Le Cam got his early mathematical education in Paris despite the nonrational factor of WW2, which was then going on in his vicinity. 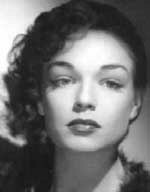 He later liked to tell how he and Simone Signoret had danced in the streets when the city was liberated in 1944. After the war, he was employed as a statistician with Electricité de France, and published his first papers on statistical theory in 1947 and 1948. He took a year's leave in 1950 to accept an invitation from Jerzy Neyman to lecture in Berkeley. In Berkeley he remained for the rest of his life: fifty years to the day. His celerity was remarkable. He completed his Berkeley PhD thesis in six months of work (1952), and immediately, despite the misgivings of the Dean, supervised his own first PhD student (1953). 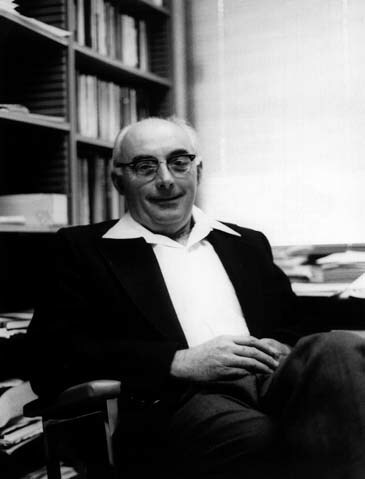 His work, a few years later, on such topics as the LAN or locally asymptotic normality condition (1960) is part of the architecture of modern statistics. I knew Lucien best in the Department Coffee Room. This came to be his domain, or perhaps I should say his locally convex vector space. Jerzy Neyman, the Statistics Department's founder, was Lucien's mentor and great admirer. He dearly wished Lucien to follow him as Director of the Statistical Laboratory. When Professor Neyman was away, Lucien typically chaired his Seminar. On the day that Neyman died [5 August 1981], Lucien opened with the words, "The Seminar will go on." And it did. Lucien took it over. Lucien had a special style in chairing the seminar. He would let everyone who had questions ask them, and then at the very end, he would say something like "I have one small question." That question would go right to the heart of the matter, there would be further discussion, and then we would go to the Faculty Club for drinks and Professor Neyman's three toasts. It was all quite magical. Le Cam retired in 1991, but continued mathematically active until shortly before his death on 25 April 2000. An epitome by his student and collaborator Grace Yang gives a personal overview of his character and career. In an interview in 1988, Le Cam brought out cogently what it is that defines statistics. We repeat those remarks here by way of introduction to the subject. The question was "How do you distinguish between mathematics and statistics?" Le Cam: In statistics -- well, you have the mathematical part of it, one has to be able to handle the concepts, but you also have the fact that the concepts are not very clean. The idea of probability, of randomness, is not a clean mathematical idea. You cannot produce random numbers mathematically. They can only be produced by things like tossing dice or spinning a roulette wheel. With a formula, any formula, the number you get would be predictable and therefore not random. So as a statistician you have to rely on some conception of a world where things happen in some way at random, a conception which mathematicians don't need to have. Le Cam: If you perceive the world as some place where things happen at random -- random events over which you have sometimes very little control, sometimes fairly good control, but still random events -- well, one has to be able to have some idea of how these things behave. . . People who are not used to statistics tend to see things in data -- there are random fluctuations which can sometimes delude them -- so you have to understand what can happen randomly and try to control whatever can be controlled. You have to expect that you are not going to get a clean-cut answer. So how do you interpret what you get? You do it by statistics. Q: Do you think that the general public can be made more statistically sophisticated? Le Cam: Well, it could be done. What should be done is to introduce people, at least in high school, to the idea of random things, random events. Once you get that basic concept, the idea, then the rest is easy.